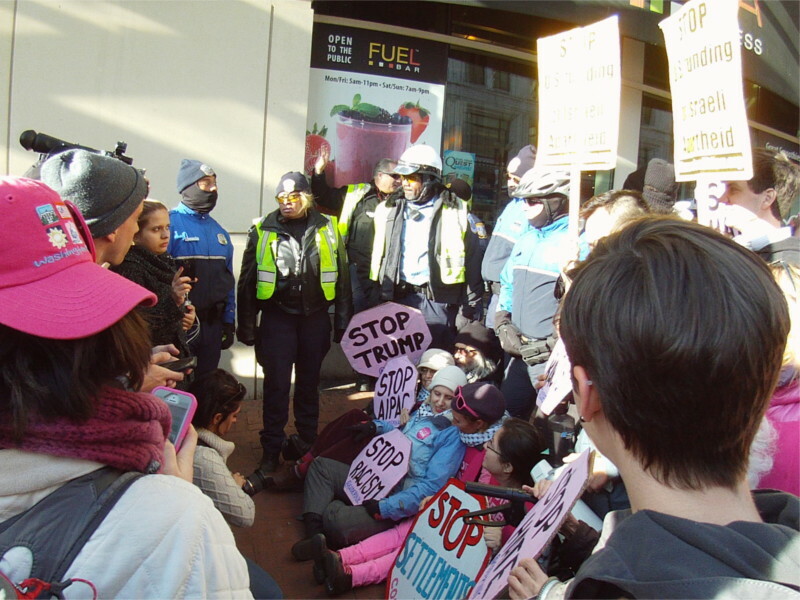 On the 15th of April, the Democracy Spring protests included the DC Statehood issue and the count for civil disobedience arrests rose to nearly 1,000 for the week. In a few cases police have been getting out of line. 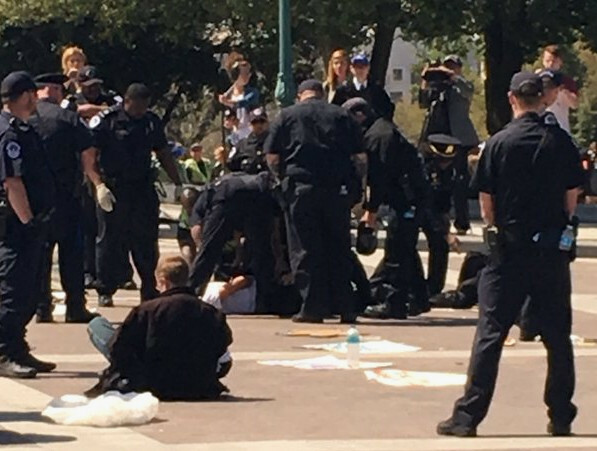 On April 15, one of the last protesters to be arrested was tackled and pinned to the ground after dancing a bit just before arrest. Also, there is a report that at least ten spurious charges of "assaulting a police officer" were filed by police, only to be immediatly dismissed in court. Usually police file that charge when they are the ones using violence e.g hitting a cop on the club with your head can draw an ASPO charge. Read more about The Shortwave Report 04/15/16 Listen Globally! 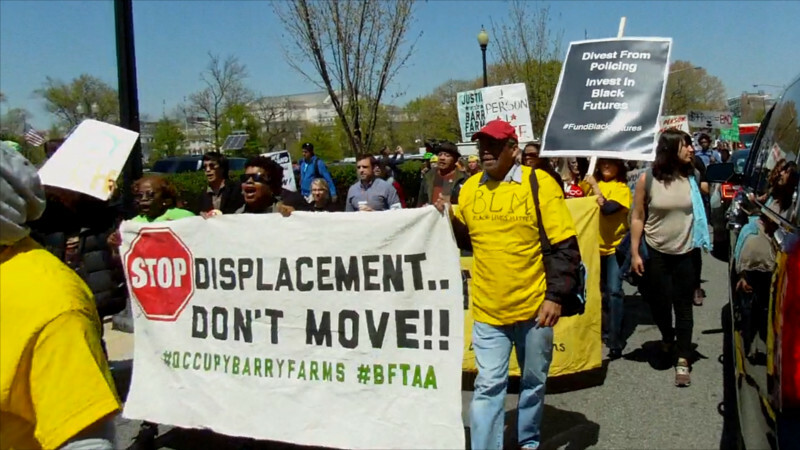 On the 13th of April, Black Lives Matter and other Ward 8 organizers led Democracy Spring's 3rd march on the US Capitol. 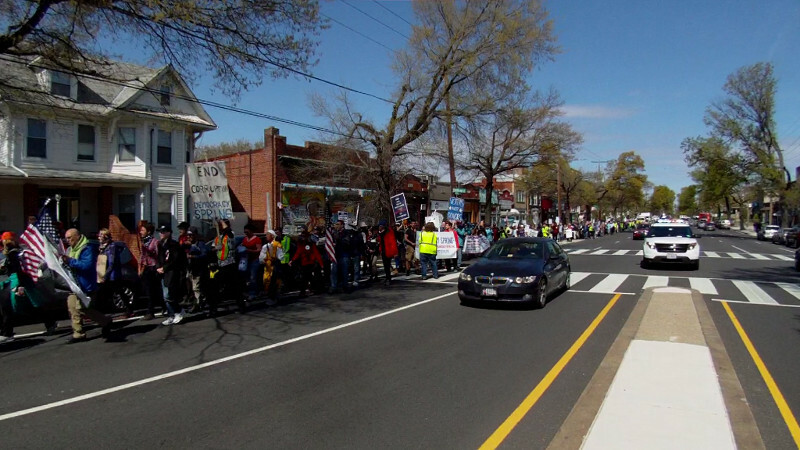 The lead banner was from the Save Barry Farms organizers advising people to refuse to move, blocking displacement. When the march arrived at the Capitol, the third sit-in in as many days followed. As police arrested the folks in the sit-in, they also put police lines around the support people after moving them back behind the first police line. At one point they were told they too were subject to arrest,unknown if any arrests other than voluntary ones resulted from this. The final arrest total for the three days so far has now climbed to in excess of 700. 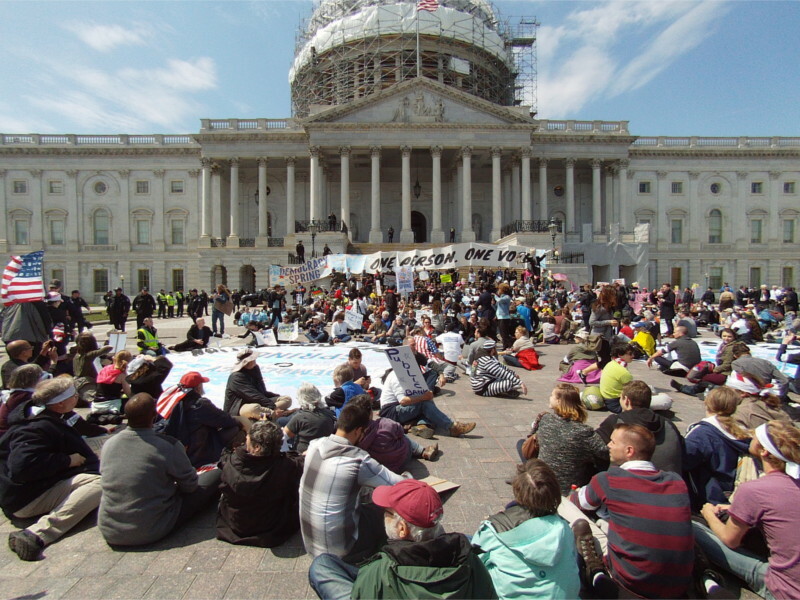 On the 11th of April, a solid week of civil disobedience protests began with a massive sit-in on the Capitol East Steps and in front of them. Democracy Spring is demandng that the campaign cash and bribery used by the wealthy and corporations to effectively own and operate Congress, regulatory agencies, etc be shut down entirely. Bus after bus had to be brought up to handle arrestees, and a little after 3PM police ran out of space and had to temporarily stop arresting people according to one report. On the 10th of April, the Democracy Spring march arrived in DC, many of the participants having marched all the way from Philidelphia. They are here to demand a total end to corporate and "one percenter" cash and bribery in US elections. Beginning on April 11 there will be daily sit-ins on Capitol Hill for this demand. Read more about The Shortwave Report 04/08/16 Listen Globally! Read more about The Shortwave Report 04/01/16 Listen Globally! Read more about The Shortwave Report 03/25/16 Listen Globally! On the 21st of March, Donald Trump spoke at AIPAC along with all the other candidates except Bernie Sanders. A huge crowd jammed the area around the Verizon Center where at least Trump's speech was held. Code Pink managed to get to a strategic position limiting access to the doors and blockade it with a sit-in. The only way past was to squeeze behind the cops until cops removed other barricades to create an alternate route for the Trump supporters and other facists at AIPAC. Some of the seated blockaders were kicked-pushed and thrown by cops, one was arrested. Code Pink's strategically positioned blockade on the sidewalk leading to the doors of the Verizon Center. Argentina's lower house of Congress voted 165-86 to repeal two laws that blocked the country from settling its decade-long debt dispute with a group of "hold-out" investors. A US judge approved the $4.65 billion agreement on March 2 on the condition that Argentina's congress revoke the two laws.‎ Argentina's Senate now faces an April 14 deadline to also repeal the laws.